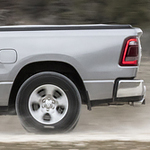 Pickup trucks are great utilitarian vehicles able to aid in getting a variety of work-related functions done. But no matter the work environment, be in a facility or in a truck, safety should always remain a priority. The all-new 2019 Ram 1500 packs in a number of features to keep drivers safe. 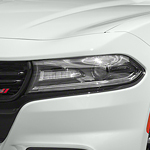 The new 2019 Dodge Charger is an ideal mid-sized sedan that comes standard with a wide variety of technology features to make driving a pleasant and safe experience. At Cold Lake Chrysler, we can show you any features that are available and help you choose your perfect car. Whether you're driving on the busy streets of Cold Lake or on the open highway, you can choose a drive mode to fit the situation. Different modes will adjust the steering, engine, and transmission to maximize your driving experience. If you're looking for a stylish vehicle that can provide you with an exciting driving experience, feast your eyes on the new Dodge Challenger. This popular muscle car has a sleek exterior that seamlessly combines nostalgia and modern design. 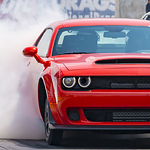 We here at Cold Lake Chrysler are very excited to show you how you can make the Challenger your own. 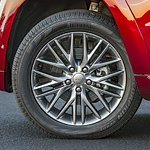 Drivers everywhere are noticing the premium exterior features of the Jeep Compass. This popular SUV is equipped with all of the tools that you need to deliver a supreme driving experience. The Jeep Compass experts at Cold Lake Chrysler are ready to answer any questions you have about this venerable vehicle as we demonstrate all of its unique exterior features. Some things in life are predictable. Others are not, like the actions of other drivers. 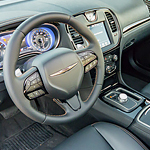 When the road ahead suddenly changes, the Chrysler 300 has advanced technology to keep you safe. This is only one reason why the 300 is one of the most popular full-size luxury class cars on the market. The Jeep Grand Cherokee has the rugged exterior appearance that you desire from a Jeep SUV, along with attractive features. When you look at the sides of the SUV, you'll see dramatic lines from one end to the other. The front of the Jeep Grand Cherokee has an aggressive appearance while still maintaining the elegance that the SUV is known for having. Winters in Alberta can be harsh and unforgiving to automobiles. Colder temperatures can kill car batteries and freeze car fluids while icy roads can lead to worn or bald tires. In some particularly poor weather cycles, accidents may even occur and your car could suffer from cosmetic as well as mechanical damage. Chrysler Pacifica vs. 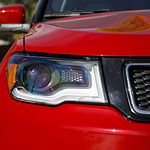 Dodge Grand Caravan: Which Passenger Van is Better for You? Minivans get a bit of a bad rap. Often times, they do not provide drivers with the modern design and aerodynamic efficiency that helps them fit in on modern roads. With the 2018 Chrysler Pacifica, that has changed. Not only does this minivan provide you with an attractive, contemporary design, it also has an impressive array of cutting-edge features that keep you and your family comfortable during the ride. Want to Explore the Road Off the Beaten Path? Check Out the 2018 Jeep Wrangler! Many of the drivers who visit our dealership are looking for a vehicle that can handle more than just the highway. They are adventurers, and they need a driving option that is capable of handling tough terrains, dirt roads, and everything in between. If you are looking for a vehicle like that, then you may want to check out the 2018 Jeep Wrangler.